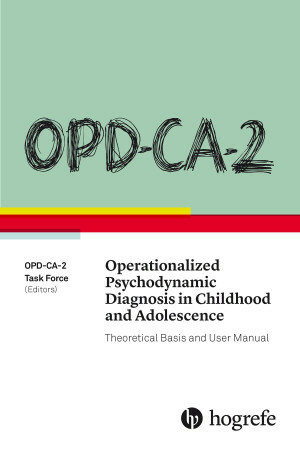 OPD-CA-2, the multiaxial diagnostic system for psychodynamically oriented psychiatrists and therapists, now for children and adolescents. Following the success of the Operationalized Psychodynamic Diagnosis for Adults (OPD-2), this multiaxial diagnostic and classification system based on psychodynamic principles has now been adapted for children and adolescents by combining psychodynamic, developmental, and clinical psychiatric perspectives. The OPD-CA-2 is based on four axes that are aligned with the new dimensional approach in the DSM-5: I = interpersonal relations, II = conflict, III = structure, and IV = prerequisites for treatment. After an initial interview, the clinician (or researcher) can evaluate the patient’s psychodynamics according to these axes to get a comprehensive psychodynamic view of the patient. Easy-to-use checklists and evaluation forms are provided. The set of tools and procedures the OPD-CA-2 manual provides have been widely used for assessing indications for therapy, treatment planning, and measuring change, as well as providing information for parental work. "The OPD-CA-2, like the OPD-2, is a multiaxial diagnostic method, which goes beyond the DSM–5 and the ICD-10. ... [It] builds on the work of the OPD-2 and is obviously meant to be used in conjunction with the adult system. It provides a way of creating a focused structured interview and helps a clinician conduct a more comprehensive evaluation without being bothered by a particular psychodynamic theory. The book is dedicated to the attempt to provide clear operational evaluations of complicated psychological processes." 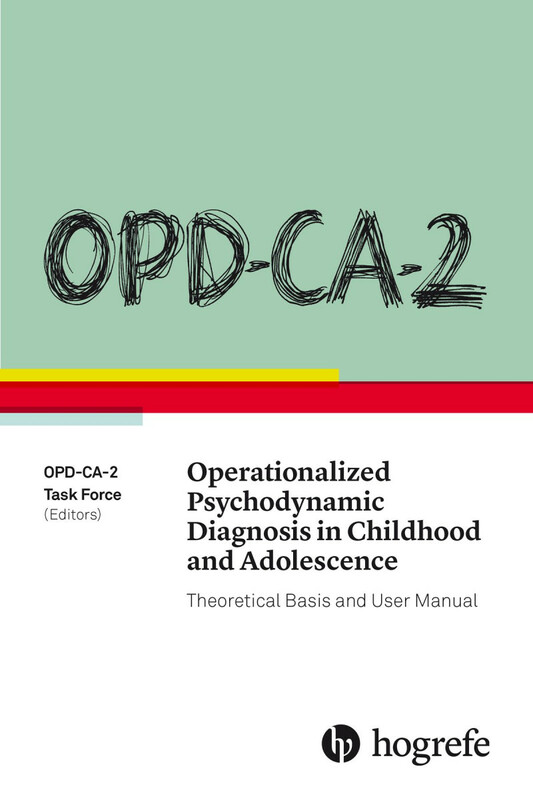 "OPD-CA-2 presents a clear and comprehensive diagnostic approach that includes both the categorical, descriptive phenomenology of standard psychiatric classification and a clear, updated system of psychodynamic inquiry that enriches diagnosis with the formulation of four psychodynamic axes. It is an empirically based and clinically tested approach to the diagnosis and treatment indications for the entire field of child and adolescent psychopathology. I warmly recommend it to all child and adolescent psychiatrists, psychologists, and social workers as an essential contribution to clinical practice." "This book is a most welcome addition to the clinical armamentarium for the developmental clinician. All mental health professionals (and, I would imagine, Sigmund Freud) have to be grateful to the OPD Task Force, who, under the expert and energetic leadership of the editors, have tackled the very difficult task of putting complex psychodynamic concepts on an empirical basis, thus preserving this precious set of theories and ideas for future generations and creating a diagnostic and treatment system that is a credible alternative to reductionist thinking and practices. Our patients and their families will be better off because of it." "This work is a careful effort to link observation to psychodynamic case formulations, formulations that in turn lead to effective psychodynamic treatment strategies."